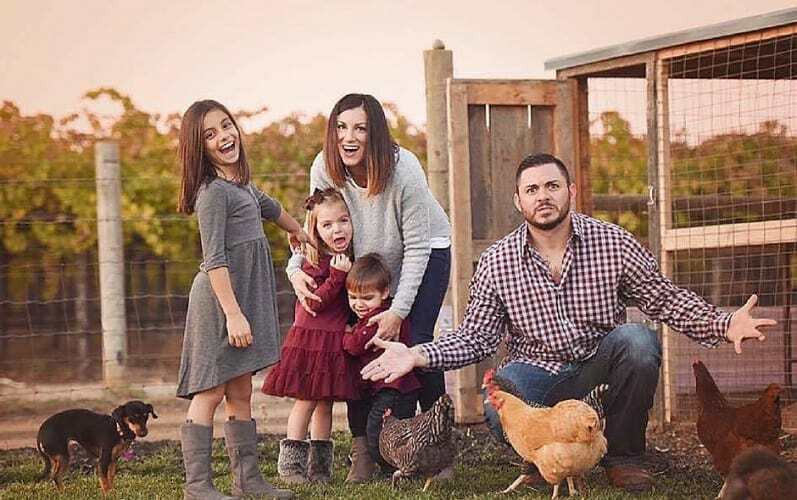 Meet Joe Cataldo from J&M Farms in Lodi, CA. Joe Cataldo is a third generation fruit farmer who is very passionate about photography and giving back to the community. He took time out of his busy schedule to chat with us about fruit, photography, and family. Joe: I started my day by shutting a few pumps off. We basically just finished harvesting our cherries last week, so we are going around from orchard to orchard making sure all the harvesting equipment like ladders and picking lugs are cleaned up. That’s how I spent most of my morning. And after lunch, I have been in my office paying contractors who did harvesting work for me. I am also doing some invoicing and finally checking my mail now that harvest is over. I started my day by shutting a few pumps off and I will end my day by turning the irrigation pumps back on. It’s been a little bit of everything today. CA GROWN: What is it that you grow? Joe: We grow cherries and wine grapes. Joe: I enjoy the flexibility and the ability to create something that people around the world can enjoy. We do a lot of cherry exports and we are pretty well established in the Asian countries. To know something that we grow here in the Central Valley can put a smile on someone’s face halfway across the world is kind of a cool thing. Joe: We provide jobs for some local residents and we participate in a lot of fundraiser events by donating cherries and wine. For example, we are very involved in a group called Sharing Parents. Sharing parents is a pregnancy and infant loss support group that we joined in 2010 after the loss of our son, Thomas, who was born still. My wife also coordinates an annual event at my daughter’s school called an Evening for Education. We get about a dozen of our friends in the wine business to come out and pour wine for the event’s wine tasting and donate gifts for the raffle. Joe: I’m a third generation grower. We basically started from a first generation business. Growing is practically in my blood. My dad grew cherries, wine grapes and a lot of tree fruit. My Grandfather did the same and mainly grew row crops. It was something that I was born into. Actually, it was something that I kind of wanted to get out of, but luckily I got sucked back in. I’m drawn to farming because of the lifestyle. You get out what you put in. When it is time to work, you work – no matter what. And if you don’t work, you will pay the price. Just being responsible for all of my trees and vines feels a lot like taking care of family. Actually, they are an extension of my family. CA GROWN: What are your hobbies or pastimes when you are not farming? Joe: I have a wife and three beautiful kids that keep me busy when I have downtime. But to blow off steam I like to lift weights, go to sporting events and go out to eat. I also like to photograph the farming process. I think that agriculture is very scenic and sometimes overlooked. I like to watch how things change and develop on almost a daily basis. I really appreciate the progression of the fruit being dormant, going through blooms, and then growing ripe fruit that is ready to eat off the tree. Then of course you have the fall months when everything is coming to an end. I love the seasonality of farming and I enjoy capturing it because I do not think that most people understand what the product looks like in its natural environment. We are really proud of what we do and I like to share that. All jokes aside, if you want to get involved in agriculture or farming you will have to be ready to absorb a lot of debt and you will have to be ready to ride the ups and downs that come along with it. It is tough sometimes, but for us it’s all about riding that wave. As long as we are consistent throughout the ups and downs, things will turn around. It is not a get rich quick deal it’s truly an investment. When we plant orchards we are in it for the long haul. I have some orchards that will probably outlive me. It’s something that you are maybe not doing for yourself, but for the generations that will come after you.